We are pleased to announce several updates to many of our popular free Splunk apps. 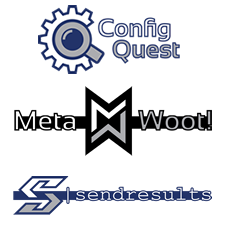 These include updates to Confiq Quest, Meta Woot! and Sendresults. A summary of the updates follows below, along with links to Splunkbase where they can be downloaded. All our apps are fully documented and supported. Please take the time to read the documentation and upgrade notes. Config Quest allows for searching and reviewing Splunk configurations on any Splunk server directly from your search head! Use Config Quest to search for any stanza or configuration parameter, in any selected app, across any Splunk server in your environment. New features in our latest release include; a new ‘Difference Config Quest’ dashboard to identify configuration differences across your deployment, a new ‘Comparison Config Quest’ dashboard to compare one host’s configurations with another and also a new ‘Application Config Quest’ dashboard to query the installed apps across your deployment and find differences. Meta Woot! provides superior levels of insight and intelligence from your Splunk metadata and license data. The app maintains a near real-time state table of host, sourcetype and index metadata. New features in our latest release include a major change made to how Meta Woot! stores keys in the KV store to eliminate issues with duplicate keys. Additionally, the summarised data now also keeps track of the Splunk Servers where your searchable data is held. 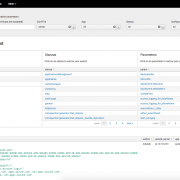 Sendresults is an immensely powerful Splunk command and Alert Action (new! ), that allows you to send tabulated search results to individuals dynamically, based upon the data within the results. Using Sendresults, you can use a single search to send specific sets of results to different individuals or teams. New features in our latest release include a new Alert Action that allows you to graphically configure Sendresults through a GUI based action form. Additionally, dynamic subject and body are now supported. Homepage for Splunk - Our New App!